Reinstalling Windows 4 Ways to Reset Windows 10 and Reinstall From Scratch 4 Ways to Reset Windows 10 and Reinstall From Scratch Windows 10 is still Windows, meaning it will need a fresh start every once in a while. We show you how you can get a fresh Windows 10 installation with as little effort as possible. Read More is a lot easier than it once was. In the days of Windows XP, you didn’t have much choice aside from erasing everything and restoring from a backup. Fast-forward to Windows 10 and Microsoft has added plenty of options for getting a fresh start Should You Refresh, Reset, Restore, or Reinstall Windows? Should You Refresh, Reset, Restore, or Reinstall Windows? Ever wanted to reset Windows 7 without losing personal data? Between a factory reset and a reinstall, it was tough. Since Windows 8, we have two new options: Refresh and Reset. Which one is right... Read More . Coming in the imminent Creators Update (which you can download now How to Get the Windows 10 Creators Update Now How to Get the Windows 10 Creators Update Now The Windows 10 Creators Update will roll out in April. Are you eager to try it? Or would you rather avoid it? 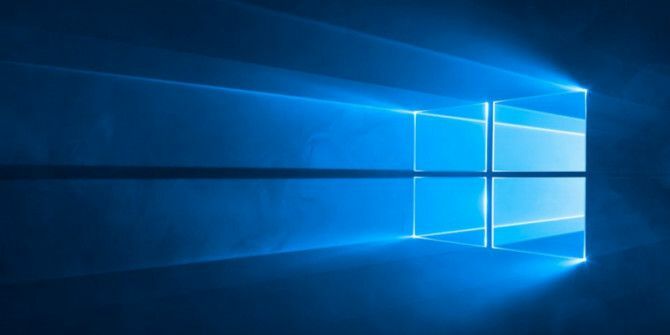 We'll show you how to get Windows 10 1703 on your own schedule. Read More ) is a new way to reinstall Windows 10. Titled Fresh Start, this completely reinstalls Windows while keeping your personal data and settings. To start, head to Settings > Update & Security and click the Recovery tab. Under More recovery options, you’ll see a link to Learn how to start fresh with a clean installation of Windows. Click this, and you’ll see a (frankly, unnecessary) warning asking you to switch to Windows Defender. Press Yes to accept it. Then you’ll see a bit about this process. Windows explains that this will reinstall and update Windows. It keeps your personal files and “some Windows settings,” but removes “most of your apps” like Microsoft Office, antivirus software, and pre-installed crapware. Thus, it’s a good way to purge bloatware from your system if you don’t want to remove it manually. If you choose to perform this process, make sure you have the license keys and passwords to reactivate any software you have to reinstall. This could also cause issues with software that allows a limited number of installs, so make sure to deactivate those licenses before you proceed. Click Get Started and you’ll be on your way to performing a fresh install of Windows. Hopefully your system never gets screwed up to the point where you need this, but it’s a handy option to have. Have you ever had to reset Windows 10? Do you think this is a useful feature and would you ever use it? Tell us what you think in the comments! I installed the creator update and one of the programs that I use is not compatible with it. The recommended Windows for business is still the anniversary update. Now I have no idea how to reinstall the anniversary update on my system. Which program? I know CCleaner needed a (simple) update to work with the 1607 update; it could be as simple as updating your program to fix it. Also, every update creates a "Windows.old" folder of your previous operating system, and there's a "Go back to your previous Windows" option for at least 30 days.